The Planet Hollywood Hotel Las Vegas has been a staple hotel for visitors of Las Vegas since its days as the Aladdin Hotel and Casino. Today the hotel offers a superb experience for the partier, the shopper, the gambler and anyone looking for great entertainment. The interior of Planet Hollywood Hotel Las Vegas is like being thrown back to the 1970s when disco balls hung from the ceilings. The hotel has over 2,500 well-appointed rooms and is a must for someone on a mid-range budget that desires all the amenities of a grand complex. The Hollywood and movie memorabilia is exhibited everywhere and covers many generations of films and movie stars. Planet Hollywood also is on the cutting edge of entertainment with superstars performing for months at a time in the traditional Sin City fashion. The two pools are located on a rooftop for spectacular partying views. 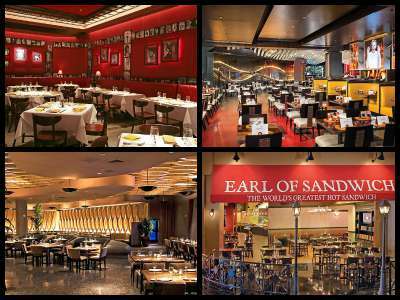 But the entertainment, shopping and dining at Planet Hollywood will keep you energized. 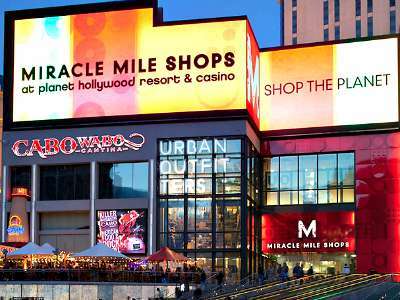 The Miracle Mile has over 150 shops and restaurants to indulge in self pleasure whether that a margarita at Cabo Wabo Cantina or buying a pair of funky shoes at the Wild Pair or visits the Axis for one of the exciting headlining acts. 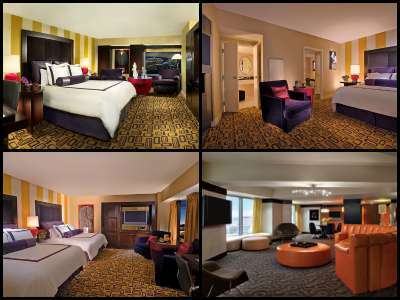 Planet Hollywood Hotel Las Vegas offers a wide range of rooms in different sizes for different budgets. All rooms and suites include specialty themed Hollywood and movie memorabilia such as the Planet of the Apes, Jurassic Park, Star Wars, Gone with the Wind, the African Queen and more. This feature makes Planet Hollywood great for movie buffs that want to take a stroll down memory lane. Most rooms were updated in 2006 with a variety of colors as to blend in with the retro and sleek look of the early Las Vegas days of décor. The Hip, Strip view and Fountain view rooms are 430 square feet and offer either a king or queen sized bed for comfort. These rooms offer basic amenities and a writing desk. The Resort rooms offer almost 600 square feet and include such amenities as a sitting area with a sofa and table. Hip and Resort rooms are offered in non-smoking, smoking as well as a limited number of PetStay rooms. The Resort suites, with or without a view of the Strip, are 850 square feet with an armoire, sitting area as well as a separate oversized soaking tub and shower. The Panoramic and Boulevard suites are huge at over 1,200 square feet and offer formal entry, sitting area as well as a dining table. The views from these suites are spectacular and updated furnishings make the lights on the Strip brighter. The Apex suites are 1,800 square feet and boast such amenities as foosball or air hockey tables for all of your recreational and party needs. The Apex suites are also designed especially for the hearing impaired and include fabulous views. The Bay and Bay Spa suites are gorgeous with over 2,600 square feet of pure pleasure and indulgence. Located on the 51st floor these suites have huge living, dining and bedrooms with jetted whirlpool tubs as well as all of the upscale furnishings you desire like a wet bar. Planet Hollywood hotel Las Vegas boasts the largest number of permanent shows ranging from comedies to naughty burlesque. The Axis at Planet Hollywood delivers the highest quality shows from entertainers like Brittany Spears to Jennifer Lopez to Pit Bull as headline artists as well as a variety of concerts from other musicians like Ricky Martin and Janet Jackson. 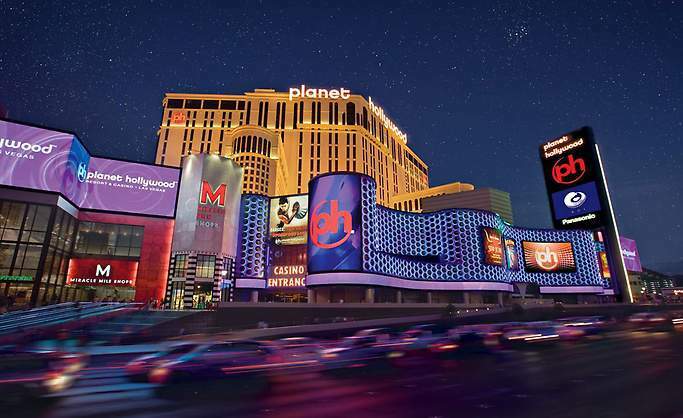 Nightlife at Planet Hollywood Hotel Las Vegas is perfect for either a relaxing drink or dancing the night away at a disco ball filled room with exciting DJ’s and all the neon a person would want. 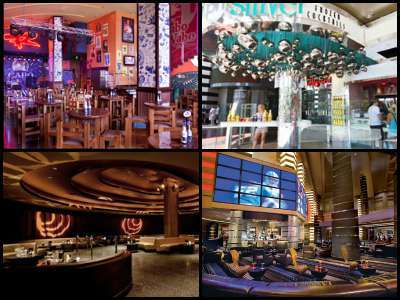 Although Planet Hollywood does not have a nightclub, there are plenty of bars for a perfect nightlife. The PH Shiver is great for frozen cocktails that take the heat out of the day; the Extra Lounge is located on the casino floor and boasts great people watching while enjoying your favorite beverage; the Heart Bar is the perfect sensual place to enjoy cocktails while watching go-go dancers on stage and if you are looking for a view as well as a spot to talk the Playing Field Lounge transforms from a sports book parlor into a stately cocktail lounge in the evening. When you want to go off-the-chain visit Cabo Wabo Cantina founded by Sammy Hagar and Eddie Van Halen this place will rock all night with interesting excitement. The Planet Hollywood Hotel Las Vegas casino is very interesting with lots of neon, LED, and disco balls hanging from the ceiling. 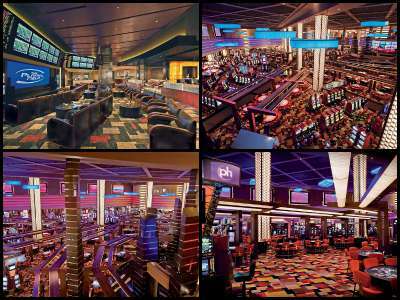 This 100,000 square foot plus area is packed with seven different table games and close to 3,000 slots and video poker machines. The casino area has a small race and sports book with over 30 televisions that seat 50 people. One drawback is that there are few minimum amount gaming tables. But there two areas that make this casino stand-out over others; the London Club is a separate European-style gambling area that is gorgeous and the two Pleasure Pits where you can play black jack with a scantily clad dealer (both male and female dealers) as well as watch go-go dancers almost bare it all. The two Pleasure Pools located at Planet Hollywood Hotel Las Vegas are just what the doctor ordered. Located on the sixth floor rooftop, each pool is 4,500 square feet each with a certain purpose in mind; one is for bathing and partying while the other is for swimming. There are a small number of cabanas you can rent along with chairs and daybeds. VIP service is guaranteed with each cabana as well as other amenities such as complimentary food and drink. The newest attraction at Planet Hollywood is the first ever FlowRider Wave-in-a-Box Double (additional fee). This is a fascinating aquatic device that allows people to hone a variety of board skills with the help of this incredible wave making machine. 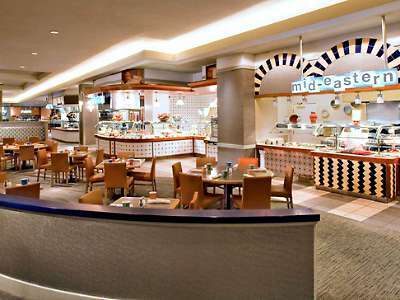 The Spice Market Buffet at Planet Hollywood Hotel Las Vegas is a perfect choice for those people or groups of people that cannot decide on a menu. The buffet changes its cuisine theme throughout the day for breakfast, lunch and dinner with food that is tasty from all parts of the world. The Spice Market Buffet also has a large variety of vegetarian cuisine as well as Middle Eastern delicacies which are the craze amongst the younger generations. Weekend brunch is excellent with unlimited champagne to help cure what ails you from the night before. The restaurants that are located at Planet Hollywood Hotel Las Vegas are second to none on the Strip and offer a wide variety of cuisine as well as price ranges. But the most famous cuisine at Planet Hollywood are the specialty hot dogs located at Pink’s Hot Dogs which is a replica of the iconic eatery in Hollywood. Patrons can also enjoy renowned Asian twisted cuisine at PF Chang’s; a superb steak and great desserts at the Strip House; Planet Dailies offers innovative cuisine café style; Yolo’s boasts quality Mexican cuisine and 60 different tequilas; a specialty burger at Gordon Ramsay Burgr; a remarkable Japanese menu at Koi and a down home sandwich at Earl of Sandwich and the pizza at Pin-Ups Pizza is the largest slice in Las Vegas. There are also unique restaurants located within the Miracle Mile such as Cabo Wabo Cantina were a patron can try over 100 different tequilas; enjoy your seafood favorites at the Oyster Bay Seafood and Wine Bar; feast on huge quantities of grilled meat the Brazilian way at Pampas Brazilian Grill; the Meatball Spot serves incredible Italian cuisine; Blondies is perfect for watching that premier sporting event with friends and for dessert try Ben and Jerry’s Ice Cream or the Nestle TollHouse Café or indulge at the Godiva Chocolatier. 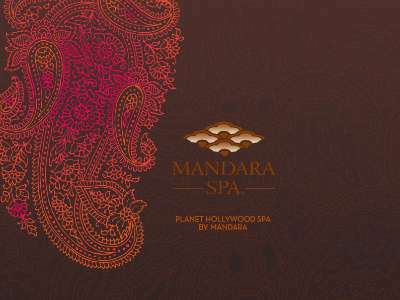 The Planet Hollywood Hotel Las Vegas Spa by Mandara is a wonderful place to relieve all the stress in your life. Fashioned after a small South Pacific island with lush gardens and bountiful plants; simply put the spa is gorgeous inside. The spa has over 40 private treatment rooms as well as rooms for couples. The spa spans over 30,000 square feet as well as hundreds of treatment options that a weary person can mix and match. The Chapel at Planet Hollywood Hotel Las Vegas is very unique and offers seating for a maximum of 65 people. Couples should be prepared to reserve the chapel early in the planning process, if they want to get married where Elvis and Pricilla Presley did. But don’t you worry Planet Hollywood offers numerous prepared packages that can serve a wedding party that is large or small in size. 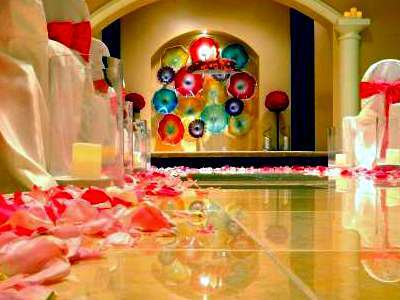 The wedding concierges can also give you that personalized service in planning that you and your loved one desire by designing your ceremony; complete with superbly catered cuisine and fun beverages. Shopping at the Planet Hollywood Hotel Las Vegas does not get any better than this in Las Vegas. The Miracle Mile Shops are absolutely a must see. The 1.2 mile indoor mall consists of over 150 different shops that include such staples in Sin City as GUESS, H&M, Steve Madden, GAP, DC Shoes, Sephora, Bettie Page and Wild Pair just to name a few. There are also over 15 unique restaurants that include La Salsa Cantina, Todai Seafood and Sushi Buffet, Nestle TollHouse Café, Cabo Wabo Cantina, Lobster ME and Ketchup Premium Burger Bar. The Miracle Mile also boasts a huge 50 foot fountain and a ceiling that turns from daytime to nighttime to sunny to stormy all with twinkling lights above your head. Shoppers of all ages will find what they are seeking at the Miracle Mile shops.